Sport Beans are a seemingly attractive alternative to energy gels primarily because people enjoy eating – especially when it’s candy! However, if your goal is improving your athletic performance we would strongly advise you to take a long hard look at what’s in those Sport Beans. e-Gel contains over three times as much complex carbs as Sports Beans and about half the simple sugars. 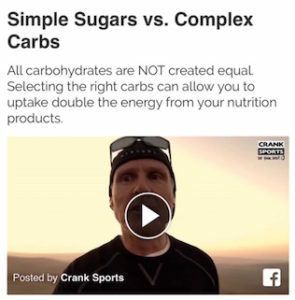 Watch this video to learn why you should use primarily complex carbs and limit your simple sugars. Electrolytes are critical to maintain hydration and to avoid cramping and injuries. e-Gel has approximately 4 times the amount of sodium and double potassium compared to GU, and are designed to meet the American College of Sports Medicine’s recommendations.